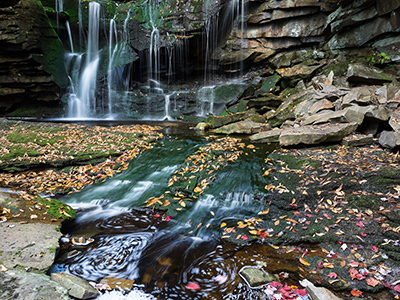 Virginia is blessed with abundant water resources – from clear, cold streams rushing down the mountainsides, to wide rolling rivers like the James, Rappahannock and New, to the rich wetlands and tidal flats of the Chesapeake Bay. 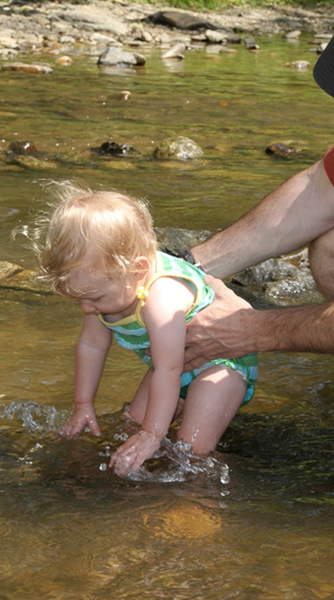 These waters sustain our families, our livelihoods, our communities, and our future. But our waters are at grave risk. The proposed Mountain Valley and Atlantic Coast pipelines represent the greatest threat to Virginia's water resources in our lifetime. These massive natural gas pipelines are entirely unnecessary to meet energy demand in the mid-Atlantic region, and they would not bring the jobs and economic benefits the developers claim. Construction of the pipelines would inevitably ruin countless waterways — including precious groundwater drinking supplies — clogging them with mud, or worse, polluting them with toxic compounds. Combined, the two pipelines would cross Virginia waters more than 1,400 times from the mountains to the coast. Members of the Board shall be citizens of the Commonwealth; shall be selected from the Commonwealth at large for merit without regard to political affiliation; and shall … by their education, training, or experience, be knowledgeable of water quality control and regulation and shall be fairly representative of conservation, public health, business, land development, and agriculture. The current seven members of the water board are considering draft certifications for the pipelines as developed by the Department of Environmental Quality. They have already approved the one for the Mountain Valley Pipeline, and are still considering approving the Atlantic Coast Pipeline on December 12. They are being pressured by Dominion Energy and EQT — lead developers of the Atlantic Coast and Mountain Valley pipelines, respectively — to approve the projects based on promises of industry “best management practices” and intentions to mitigate damages. They will be told the projects are following a “typical process,” and that the developers are experienced at building these kinds of projects. But consider this: In western Virginia, the pipelines would cut off ridge tops, plunge down steep and unstable mountainsides, and damage sensitive streams. Measures to prevent harmful pollution discharges and habitat destruction have not been detailed and failures in other cases have shown standard methods will not protect our waters. Further, the DEQ — perennially understaffed and underfunded — has never before managed simultaneous projects of this scale. Based on the existing record before it, the State Water Control Board can – and must – exercise its full authority under the law and deny both of these pipelines. Under Section 401 of the Clean Water Act, the board cannot approve the pipelines without "reasonable assurance" that the pipelines would not violate Virginia's water quality standards. The board simply does not have enough information from the developers or from the DEQ to make that determination, and must deny the projects, as outlined in a letter recently sent to the board . The information gaps are many. In particular, the DEQ has excluded from the board's consideration of the draft certifications the central problem of how erosion and sediment pollution would be controlled and stormwater managed during the construction of the massive projects, which entail large-scale disturbance of thousands of acres of land. The board cannot rationally conclude that it has reasonable assurances that water quality will be protected before reviewing how the companies intend to control the greatest source of water pollution associated with pipeline construction. 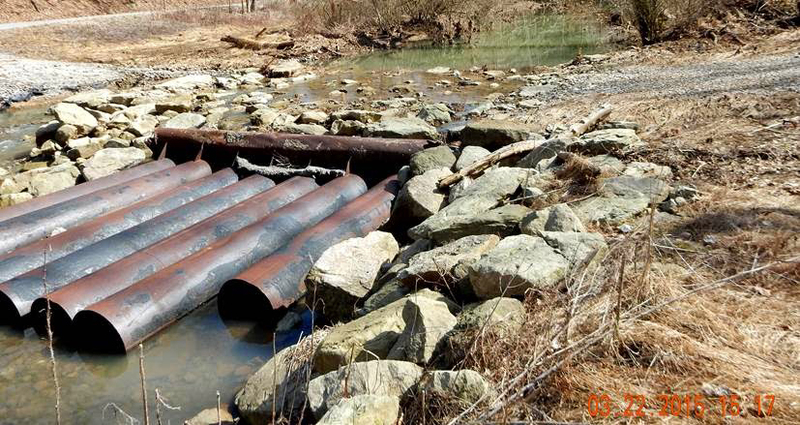 The DEQ's decision to separate the review of water quality impacts at each of the 1,400 water crossings of the pipelines from review of the impacts of the "upland" areas of construction activity is unsupported by science. 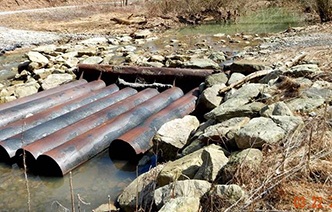 The agency's proposal that the board rely on the Army Corps of Engineers to review the impacts of individual water crossing under a blanket "nationwide permit" with weaker standards than Virginia. In essence, the board would have no knowledge of what those exact risks are, nor would it have the power to impose conditions on the construction work at the crossings. The DEQ has not sufficiently analyzed whether construction of the pipelines would comply with Virginia's water quality standards: 1) support existing designated uses of the waterway; 2) meet narrative and numeric standards under the Clean Water Act; and 3) comply with the state's "antidegradation" law. The agency did not require the pipeline companies to conduct "dye-tracing" in karst geology prior to the board's evaluation of the certifications, so the board lacks critical information about the potential scope of the threat to both surface and groundwaters in a vast area of the western part of the state where karst formations are prevalent. It’s not too late to stop the Atlantic Coast Pipeline. 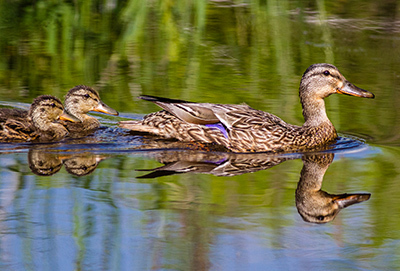 We are calling on the State Water Control Board members to perform their independent duty to protect our vital water resources by rejecting it. The risk to our irreplaceable waters is unacceptable. In a rare dissenting opinion, one of the three commissioners said she "cannot conclude that either of these projects as proposed are in the public interest." In several recent court decisions involving other natural gas pipelines, the courts have upheld the right of states to deny these Section 401 certifications, even if the projects had received approval from other state or federal entities. The North Carolina DEQ has made several requests back to the ACP developers requesting more information regarding mitigation plans to protect its state's water quality. Fortunately, the State Water Control Board, not FERC, has the final say about whether these projects are allowed to harm rivers and streams in our state. Board members must understand that Congress reserved states' full authority to veto bad projects. 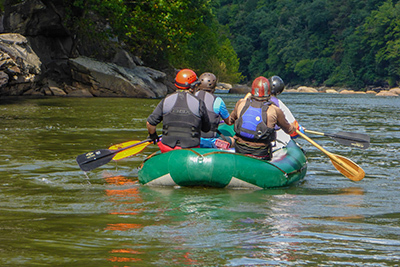 Protecting our lands and waters from destruction and pollution for the use and enjoyment of all Virginians is a constitutional responsibility. The board cannot live up to that responsibility for these projects in the absence of comprehensive, detailed, and adequate plans and analyses. Each member of the State Water Control Board has a singular duty to the citizens of Virginia to assure the protection of our water resources. Their decisions on these pipelines will be their legacy on how they chose to execute that duty.